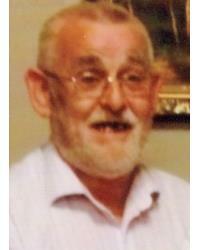 MAGEE – November 7 2018 (peacefully) at Royal Victoria Hospital, Belfast, William Henry (Hughie), late of 23 McCrea Park, Clogher, Co Tyrone, beloved husband of Valerie, dearly loved father of Delmar, Rhona, Nigel and Carol and much loved father-in-law , grandfather to April-Paige, Conor, Alfie, Violet, Megan and Ella and a dearly loved brother. Funeral from his home on Friday leaving at 1.00pm for service in St Macartan’s Cathedral Clogher, followed by burial in the adjoining New Cemetery. Family flowers only, donations in lieu if desired to Chest, Heart & Stroke Association, cheques should be made payable to W T Morrison, Funeral Directors, 41 Darling Street, Enniskillen, BT74 7DP. Lovingly remembered by his family and all the family circle. I am sorry to tell you that William Henry (Hughie) MAGEE has passed away.